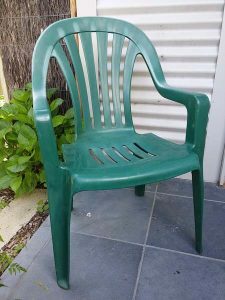 Even if we live in an apartment, most of us have some sort of garden furniture – even if it is just one chair. Traditionally made out of wood, tables and chairs are now available in a variety of materials which differ considerably in their sustainability. Even wood is not always the most sustainable option. In considering whether garden furniture is sustainable, it is wise to consider the materials, energy inputs associated with manufacture and transportation, durability as well as social aspects of production. Most products do not undergo a whole-of-life sustainability assessment, but there is information available to help us make wiser choices. Jarrah, teak, merbau and western red cedar are timbers used for outdoor furniture in Australia. Western red cedar furniture is not so common here as it grows in Canada and North America and its export is restricted. However, since trees are fast growing and reach heights of 70m, it is widely claimed to be a sustainable timber when grown in plantations. Teak is a rainforest timber, sourced from Asia. While rainforests are host to 80% of the species that have been recorded, around 324 square kilometres are destroyed yearly with a similar amount degraded daily. This not only reduces habitat for dependent fauna, it also decreases the amount of vegetation which acts as a sink for carbon dioxide. Jarrah is popular because of its resistance to rot and attractive red colour when new. It grows in the south west of Western Australia. It is an important habitat tree because of its height (up to 40 m) and trunk diameter (3m). Merbau, also known as kwila or ipil, comes from a slow growing rainforest tree taking 75 – 80 years to mature. Because of the attractiveness of its wood, extensive and illegal harvesting has caused Merbau trees to be classified as endangered, likely to become extinct in 30 – 35 years. You might also look out for tables and chairs made either wholly or partly out of recycled timber. There seems to be an increase in manufacturers of such products. Due to increasing industrialization, plastic has become a cheap alternative to timber. But most of it is unsustainable because of the high material and energy inputs in its manufacture which also produces polluting waste products and its lack of durability due to degradation by sun and rain in an outdoor environment. Over recent years, high density polyethylene (HDPE) derived from recycling plastic has offered a useful alternative for strong furniture structure. It withstands outdoor conditions, will not rot, crack or be attacked by pests, does not need sealing or maintenance, is non-toxic and can be screwed and sawn in the same way as timber. 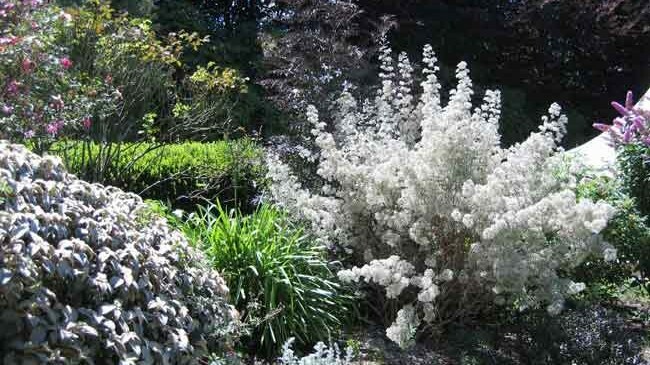 Available in a range of natural colours – although it can be painted – it has a long life. It is unlikely to be blown away since it is heavier than normal plastic furniture. However, be sure to check the details of the nature of any such product – we have observed furniture that is made from plastic that has similar properties, but is not made from recycled material. Much outdoor furniture is now made from stainless steel in combination with other materials. However, steel requires high energy inputs to manufacture. But it is durable – resisting corrosion – can be recycled and more than 50% is made from stainless steel scrap which has been re-melted. It is light, but strong, and is easy to maintain. If it has a high recycled content and is in combination with glass or a sustainable or recycled timber (as a table top) it is a relatively sustainable product. 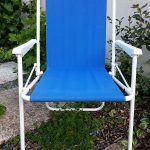 However, stainless steel chairs often include plastic strapping (possibly made from dyed acrylic) for sides or seats. Table tops and seats may be made from unsustainable timber e.g. kwila or rosewood. Also take care with the use of “eco” in brand or store names – it is sometimes used inappropriately. Furniture made from this metal has similar advantages and disadvantages to stainless steel. It is somewhat lighter which may be a benefit for moving furniture around, but remember that a large amount of energy is used in extracting aluminium from bauxite and subsequent smelting. This is the term used to describe the result of weaving various types of material to create furniture. Traditionally it was made from different species of grass ranging from bamboo, cane or rattan to sea grass. Sometimes a combination is used with bamboo constituting the supporting frame and woven, finer material comprising seats and backs of chairs. The resulting furniture is stylish and natural-looking. The species of grass used generally grow rapidly, so harvesting is usually sustainable. However, although this furniture withstands exposure to weather it is not as long lasting as stainless steel and, therefore, is usually used under some sort of cover. 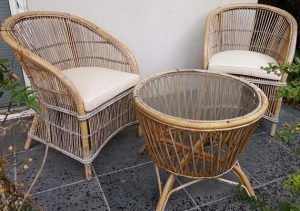 Some wicker furniture uses woven vinyl or plastic which involve high energy manufacturing inputs and also creates chemical wastes that need care in disposal. So just because it is called “wicker” does not make it sustainable. Vinyl (PVC), polyester fabric coated with PVC or dyed acrylic which sometimes incorporates cotton. Vinyl gets very hot to sit on and cannot be recycled. The others vary in durability. The most sustainable fabric is probably canvas made from cotton or linen (it used to be hemp). It is a natural material, very durable and cheap. However, remember that cotton, unless organic, has been grown with an amazing number of pesticides which pollute are and waterways. However, production of fabric and dying it usually removes residual pesticide. It can be tricky to weigh up durability, the environmental impacts of component materials and the cost. In general, long-lasting, low environmental impact materials tend to require a higher initial outlay. However, if they are durable, requiring little maintenance, then that cost is worthwhile. Their capacity to be recycled at the end of their lifetime is also worth taking into account.